Customer Experience (also known as CX) has become a hot topic in business, most notably in marketing. It has taken over almost every conversation, especially in digital. And with good reason. Marketing is shifting slowly but inexorably from brand focus to customer focus, causing CX to be front and central in many marketing efforts. But CX is not the bailiwick of marketing alone. Getting the customer experience right requires an orchestrated effort by every department in a company. 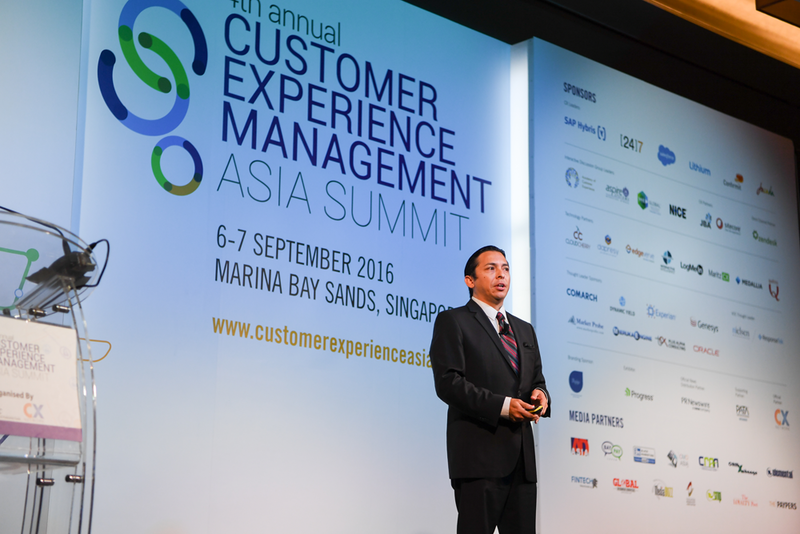 Customer Experience Management Asia by event organiser IQPC was a great moment to check the ‘State of CX’ in Asia. Brian Solis opened CEM and did so in a well-rehearsed keynote that ticked all the boxes. Brian challenged the audience on a number of topics. Mapping a customer journey using post-its will not work, he said, because analysing the customer’s expectations sitting in your office will not give you the full understanding of what the customer really expects. He used Airbnb as an example. As young at the company is, they realised that there was a discrepancy between hosts and guests. To understand this in detail they storyboarding and used the services of Pixar animator Nick Sung to produce final copies of three stories, the host process, the guest process and the hiring process (at Airbnb itself). Airbnb uses these to establish company culture and above all, determine the customer experience. What they realised when doing this, is that Airbnb is not just a website. Most of the experience takes place outside the website booking and host sign-up process. Brian used also Sephora as an example of a company who does CX well. Sephora has an innovation lab in San Francisco, primarily targeted at improving the customer experience. The customer is too elusive today and the sheer lack of choice and zero-cost of switching, means that we will never have another Rolling Stones, Beatles or U2 again. If you look at today’s artists, they have to put an enormous amount of effort into promotion, marketing and communication in order to keep their fans interested. There is no difference for companies, large or small according to Brian. If fans don’t experience what they’re looking for they just go and find something else. Listening to the keynotes by both vendors and end-users of solutions, the thread of the journey is mostly the same. Internally end-users face challenges due to legacy organisational structures. Understanding what customers are looking for and understanding where friction exists in the interaction with products and services should theoretically be the #1 priority. 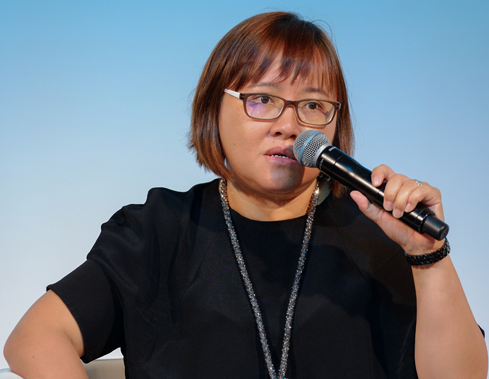 For setting priorities, the age of a company does not matter, according to Wynthia Goh, CDO of Aviva. She explained why Aviva as a more than 300 year old company has embraced Customer Experience as a way to stay relevant today. As many others during CEM Asia, she referred to the importance of being there “in the moment”. Or in other words, to be present with relevant and individualised offerings right at the moment where customers are taking decisions. Johann Wrede, Global VP of Audience, Brand & Content Marketing at SAP Hybris used an airline example to illustrate the impact of personalisation. He described an experience where an airline crew decorated the seat of a passenger before she boarded. Upon arrival they sang happy birthday and of course many passengers joined in. This, he said, are things that turn customers into advocates and ignite a social media stream. As an industry best-practice he focused on how Under Armour is transforming itself to a Customer Experience company that collects data in many ways, one of which is using health care monitors, to collect data. With that data they enrich their client’s life by helping them train more efficiently and effectively through e.g. a mobile app. He stated that companies should go beyond CRM and really engage the individual in an all-encompassing way. The general conclusion after two days of keynotes and going around the vendors in the experience area is very simple. Customer Experience is no longer a nice-to-have. It should be the top priority for all businesses, young or old, enterprise or start-up. Data is the new currency and at the same time the lubricant that allows engagements to be smooth and frictionless. And just around the corner are Machine Learning, Artificial Intelligence and Virtual Reality. The most interesting part is that most people we spoke are convinced that these are concepts we see coming into use in the next 3-5 years, not in a decade. We will follow this very closely.